Making the Case: Advocacy for Born-Digital Access – bloggERS! This post is the tenth in a bloggERS series about access to born-digital materials. 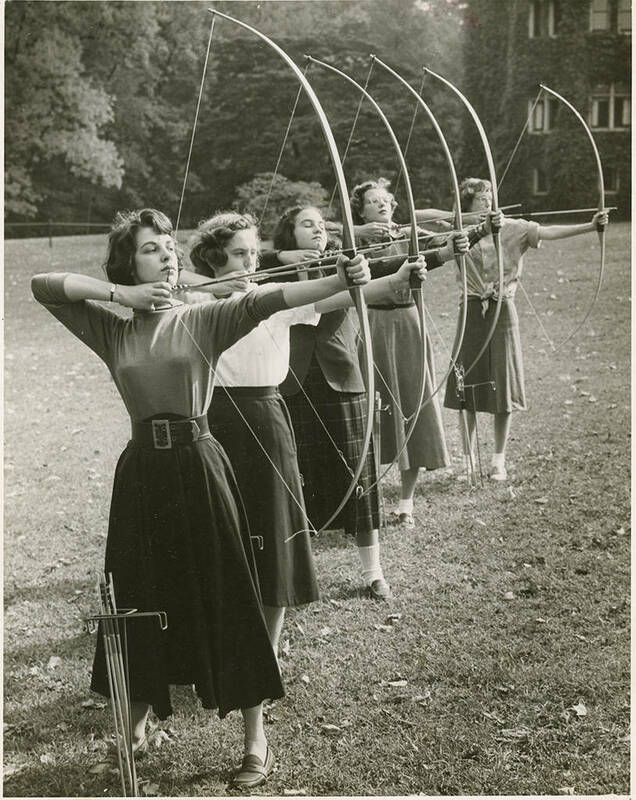 “Archery,” courtesy of Bryn Mawr College Special Collections. The Advocacy for Access Hackfest Team members used the preliminary report data from the Born-Digital Access in Archival Repositories study and their own professional experiences in order to develop a project proposal that would provide direct and actionable strategies for making the case to provide born-digital access. Sparked by these themes, our discussion emphasized the strong interconnection among points A, B, and C. Our group concluded that if one is not able to gain stakeholder buy-in from the administrative or institutional level (point C), points A and B would be very difficult to achieve. The Team concluded that digital stewards need a range of tactics in order to provide administrators with salient information to make the case. The ability to match what an institution needs based on location, size, etc. The toolkit would be an online, searchable database that accepts user submissions, has space for online discussions, and is iteratively updated. The project team would include six people to divide and conquer survey design, analyze data, set up the database, seek funding resources, and administer the database from prototype to production. You can review the full proposal here. We welcome any feedback, comments, or questions in order to provide a comprehensive project scope. Sam Meister is the Preservation Communities Manager, working with the MetaArchive Cooperative and BitCurator Consortium communities. Previously, he worked as Digital Archivist and Assistant Professor at the University of Montana. Sam holds a Master of Library and Information Science degree from San Jose State University and a B.A. in Visual Arts from the University of California San Diego. Sam is also an Instructor in the Library of Congress Digital Preservation Education and Outreach Program. He can be reached at sam [at] educopia [dot] org.